The co-working concept grew out of serviced offices, which made its first appearance in Poland in the late 1990s. Serviced offices, however, had a completely different character, with individual offices rather than open space, and did not differ significantly from traditional offices in terms of how they were managed. 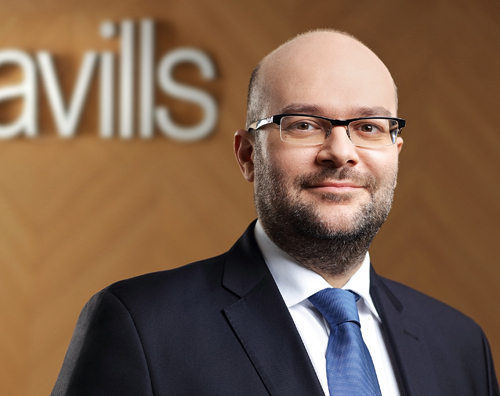 “Serviced offices enabled a company to start its operations almost overnight, so large corporations that were just entering the market were keen to use them to test the local waters,” explains Jarosław Pilch, the head of tenant representation in Savills’ office agency. “Serviced offices were also a place for incubating developing businesses before real incubators appeared on the market, and thus small companies and start-ups began life there – but now this role has been taken over by co-working,” he adds. However, co-working, which has a large number of tenants using common space, creates additional office management problems. How significant are they? “I would hazard a guess that managing co-working in a building is less demanding than managing a conference centre,” suggests Jarosław Pilch. But is this really the case? Among the most significant challenges is that of controlling the access – many people from different companies will be using the same rooms. On top of this, some tenants will be doing this 24 hours a day (those using individual offices), and others only during reception hours (those that use co-creation space). “Many of these problems can be solved by using our mobile app for not only entering the office but also for the use of a printer or to reserve a room,” points out Monika Kaczmarczyk, the managing director of co-working providers Adgar Conference Group and Brain Embassy. “We are working on new app functions that will automate the basic administration and, most importantly, will support the establishment of relationships within the community and give people reminders about upcoming events, workshops or business breakfasts,” she adds. 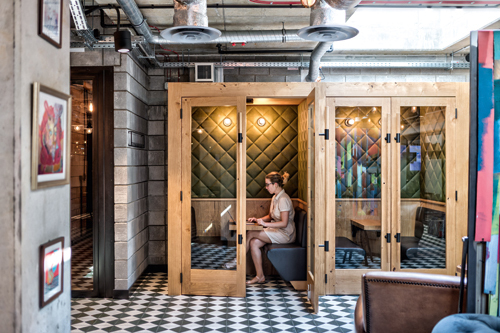 “For the access control, WeWork uses access cards and apps in parallel, while the users of smaller rooms also have traditional keys,” reveals Oskar Odziemczyk, the facilities manager at WeWork. “The app can be used for booking rooms for meetings, registering guests and notifying users about deliveries that have to be urgently picked up at the reception,” he adds. Co-working communities can also normally use shared cabinets and individual lockers opened with a key or code, so there is no need to take laptops or other office accessories home every day. “There is so much trust in our community that many of the people in it leave their personal items on their desks without locking them up,” insists Monika Kaczmarczyk of Brain Embassy. Data security is becoming increasingly important In the modern world and it might seem that shared offices would be particularly sensitive about this, but all the co-working operators we spoke to agree that they have not seen any such incidents so far. “There is the view that co-working tenants – who are often from the younger generations and footloose professions – like to boast about what they do and even cover the walls with post-it notes with such information or leave it written all over whiteboards. 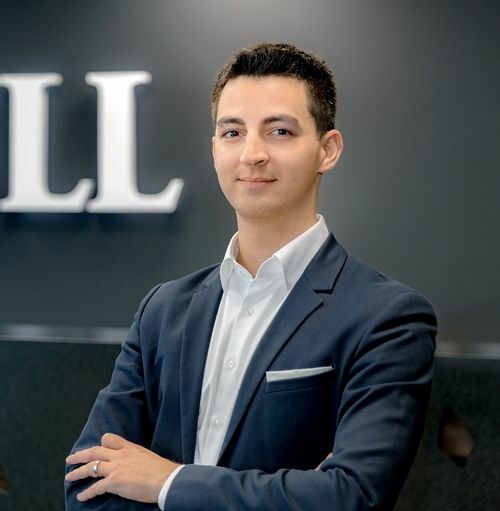 However, I think that as they grow, a large number of these companies will want to relocate and move from co-working to their own traditional office,” believes Jarosław Pilch of Savills. In other words: if a freelance IT specialist suddenly receives a confidential commission from NASA, he or she will not be able to continue using shared space. Co-working operators also claim never to have seen any conflicts between companies from the same sector working in a joint office. “On the contrary – instead of unhealthy rivalry, they usually join forces on common projects,” insists Monika Kaczmarczyk. The two ingredients most commonly cited as necessary for co-working are: the internet and coffee. The coffee machine is not only the most important but is sometimes also the most expensive device in the kitchen. “Important friendships and the most valuable collaborations are apparently forged while waiting for coffee in the kitchen. Obviously, things are not exactly that simple and so we are consciously attempting to animate our community and help in the establishment of positive and friendly business relations rather than just the exchanging of business cards,” comments Monika Kaczmarczyk of Brain Embassy. The kitchen is an integral part of the common area and sometimes even takes the form of a café – so a visitor to co-working offices doesn’t wait for a meeting in an impersonal reception but at a café table. However, every co-working office needs someone to service the kitchen on an ongoing basis – the work surfaces must be clean, the dishes have to be put in the dishwasher and the coffee bean containers always have to be full. The kitchen service is usually provided by the same company that cleans the offices. “This is usually an external company, and there is a large rotation of employees in this sector, hence particular attention should be paid to maintaining the quality of the service. Therefore a co-working operator should delegate one of their own employees to coordinate this,” explains Adam Lis, who was previously employed by Brain Embassy and is now a flexible office solutions manager at JLL. The kitchen is also the main meeting place. “Our emphasis is on creating a community – and for this we organise events, training sessions and meetings. On Mondays we have free breakfasts that entire companies can attend, so we can help to integrate employees into their own organisations. From 5 pm to 8 pm we have an open bar with beer and prosecco, so members can also meet and relax after work, because not everyone has the time or the opportunity to go out,” says Oskar Odziemczyk of WeWork. The availability of alcohol in co-working centres is one of the most sensitive topics – and although operators usually try to outdo each other when it comes to traditional amenities few have so far embraced the idea of supplying free alcoholic drinks. Perhaps one reason for this has been the removal of open bars by some co-working centres in the US, after the bad publicity generated by one operator being sued by a user for the indecent behaviour of his intoxicated co-users. Interruptions to the internet supply are a nuisance in every office, but they are something of a catastrophe for co-working. What precautions can operators take to try to avoid this? “In the case of breakdowns or small technical errors, we can deal with them quickly and effectively thanks to our maintenance engineer. We are aware of our members’ needs: the importance of data security, uninterrupted network access and reliable multimedia equipment (LCD screens, projectors, printers, office equipment), which is why we have an in-house IT service that ensures that the everyday work is done according to plan,” insists Itay Banayan, the real estate vice-president of Mindspace. However, for the vast majority of operators setting up an IT service for just one centre is unprofitable. It’s better to transfer this obligation to an internet provider or an external company. Or – as has been done by the largest companies that have several centres in one city – you can establish a ‘flying brigade’ of IT specialists. “Breakdowns, of course, happen in co-working, as they do in traditional offices. It is worth notingothat some, especially small internet providers, do n’t fully understand the co-working concept and so install devices that are not powerful enough. Higher specifications, however, are required for co-working than for a traditional office,” points out Adam Lis of JLL. Also, with traditional offices developers can make savings by limiting the number of access devices (or access points), but this can later have an impact on the quality of the wifi connection. For practical reasons, offices (including co-working) are increasingly dispensing with LAN networks, which the operator or office building owner can provide only on special request. The standard now is for the installation of two or even three separate wifi networks – for the operator, community members and guests. Another problem for facility and property managers is the use of network printers and scanners by all members of the community and how to determine the printing costs. Reportedly, one particular operator offered its members free unlimited printing... only to withdraw the offer almost immediately. Therefore, the ‘print’ command is usually preceded by logging onto the system using a card or application that identifies the user and charges their account. “Our members are given 140 free prints per month with the package and any other pages are added to the monthly bill for it. Similarly, meeting rooms can be booked based on credits that can be used and increased, if necessary,” explains Monika Kaczmarczyk of Brain Embassy. Operators also have to make sure adequate parking is provided for users, which can be a challenge, especially for buildings in city centres. “One co-working operator in the capital city decided not to bother with parking spaces at the beginning due to how close the metro station was. However, after a few months the company changed its mind – some potential clients came to check it out but decided against moving in when it turned out that they didn’t have anywhere to park. 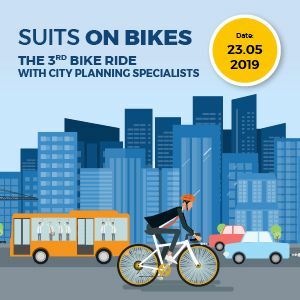 A building can have good transport links with the rest of the city and be equipped with the full infrastructure for cyclists, but a minimum number of parking spaces is still necessary for every tenant, even for guests,” insists Adam Lis. Each of the operators we spoke to insists that they concentrate on the fostering of interpersonal relationships because it clearly distinguishes co-working from other office formats. Characteristically, they are unanimous in avoiding use of the term ‘tenant’ to refer to their office users – for them, these are ‘members’ of the co-creating community. “What’s the most difficult aspect of managing co-working communities? Probably reconciling different tastes, habits and styles of work. When someone comes to a large corporation, he or she enters an established order and has to adapt. In co-working, however, this style is created by different companies and different people. Sometimes even agreeing on the air temperature in common areas can be difficult because someone is too cold at 24 degrees,” says Oskar Odziemczyk. What kind of conflicts arise most often when space is shared by people who are not used to such a working model? “I would not describe these situations as conflicts. I would rather say that there is a diversification of needs and different expectations regarding workspace. Not every company or person will feel comfortable in co-working space, so this model will not suit everyone. According to research, the effectiveness of employees working in open-space falls by as much as 15 pct, and their well-being decreases by 32 pct. Vibrant open space can foster creativity and group work, but employers and designers are increasingly seeing the need to designate some space for silent work and concentration,” admits Itay Banayan of Mindspace. In the first line of conflict prevention and attending to the well-being of members is the community manager, who is a cross between an event organiser, a receptionist and a handyman, sometimes with a bit of psychologist and bartender thrown in. How are the responsibilities of the property manager and the co-working space operator divided? “Our responsibilities as a co-working space provider primarily involve the space management and providing an ongoing service to each area – the private offices, lobbies, kitchens and toilets. I mean, both the cleaning on a daily basis and the supply of necessary products,” explains Itay Banayan. “When it comes to more serious breakdowns, affecting the entire building, such as those related to the heating or water supply, we outsource these problems to the subcontractors of the property manager. The PM’s tasks also include maintaining the cleanliness of the surfaces outside the coworking space, as well as the staircases, elevators, shovelling snow from the pavements in front of the building, and cleaning the windows from the outside. The manager is also responsible for the fire alarm system and implementation of fire safety regulations as well as the wifi and internet system,” he adds. The co-working market has undergone segmentation – and now there is a range of such offices with more amenities while others are more self-service. “This is good because the client has the opportunity to choose the services they want to pay for. Some processes, such as receiving registered mail or receiving guests, cannot be automated, but the general trend is that co-working should be as self-service as possible,” argues Adam Lis. Which direction is co-working now taking? “I think it will be going in the direction of adding services and amenities. We are now in the 21st century and tenants are no longer satisfied with just a desk and a chair,” claims Oskar Odziemczyk. “For our members we are also developing the WeGrow concept, a network of creative schools for young children of 3–11 years. We also have a mother and child room in the centre, where you can easily change nappies or feed a baby. We are also happy for members to come to work with their dogs – the presence of animals definitely helps to generate a pleasant atmosphere. Furthermore, we are keen to support the business development of our members – not only through training but also through our WeWork Labs department, which provides start-ups and small businesses with marketing, organisational and legal support,” he adds. Brain Embassy is another co-working operator that is amenable to children and pets. In its Al. Jerozolimskie centre in Warsaw, a special place has been created for kids: a tree house, where they can have fun without disturbing others at work. “We encourage members of the community to come in with their children, especially during the pre-holiday period. A team has been set up to organise activities for kids, such as baking gingerbread before Christmas. A large number of members also bring in their four-legged friends – which are mainly dogs, but not always – every day. They are spoilt by everyone and the working atmosphere has become even friendlier because of them,” insists Monika Kaczmarczyk of Brain Embassy. Most operators admit that shared co-working space is effective only for small businesses, so when the organisation grows, they have to think about alternative premises. “One company developed and enlarged its team at Brain Embassy from around a dozen at the beginning to 28 people. As a result, its use of the co-creation space became awkward for the company and for other members. However, they accepted our offer of BeYourself serviced offices on the floor below,” relates Monika Kaczmarczyk. “If necessary, they can still use all Brain Embassy’s areas, amenities and events. In my experience, the maximum number of employees for a company to comfortably use the co-creation space is 12–15 people. So with companies with more than 15 employees in mind, we have devised BeYourself – a concept that combines co-working with traditional office leases,” she adds. Co-working is also increasingly being treated as complementary space for classical tenancies. Large tenants have to think hard and well in advance about what stage their company will have reached in a dozen or so years. Why do they have to think this far ahead? 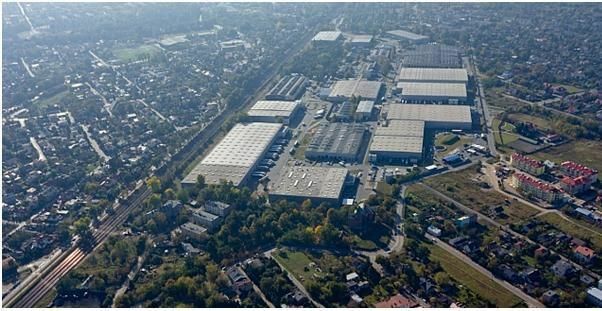 “On top of the average three years for the development of a new office building, you need to add a ten-year lease agreement, so you have to estimate how big the company will be in 13 years, which is extremely difficult. Hybrid transactions could be the solution to this dilemma, as they give you more flexibility – with this model, for example, 80 pct of the space you lease can be traditional office space under a long-term contract, while flexible space can make up the remaining 20 pct, but with a much shorter, say annual, lease contract,” suggests Jarosław Pilch of Savills. Co-working and serviced offices offer solutions to most of the issues a new tenant would have to face when entering a traditional office: there is a ready-made reception desk and they don’t have to worry about equipment, security and cleaning costs. “It’s a ‘plug & play’ model in which the tenant can concentrate on their core business. Of course, these costs are included in the rent or service fees, but with economies of scale – such as large orders for cleaning services or even the collective purchase of coffee for the coffee machine – they can get a better price,” points out Jarosław Pilch.